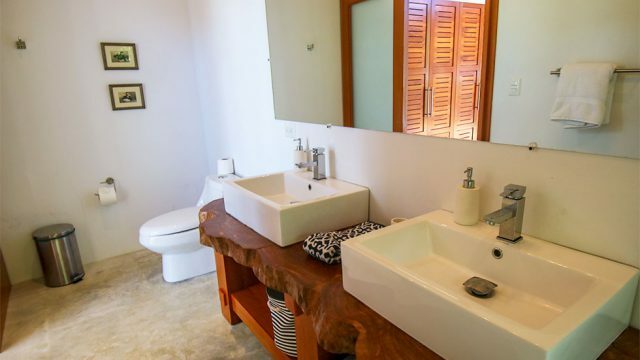 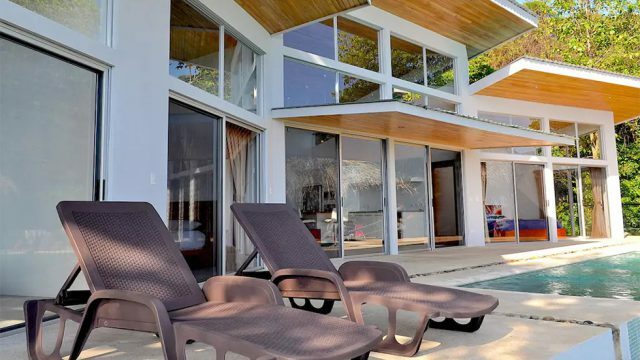 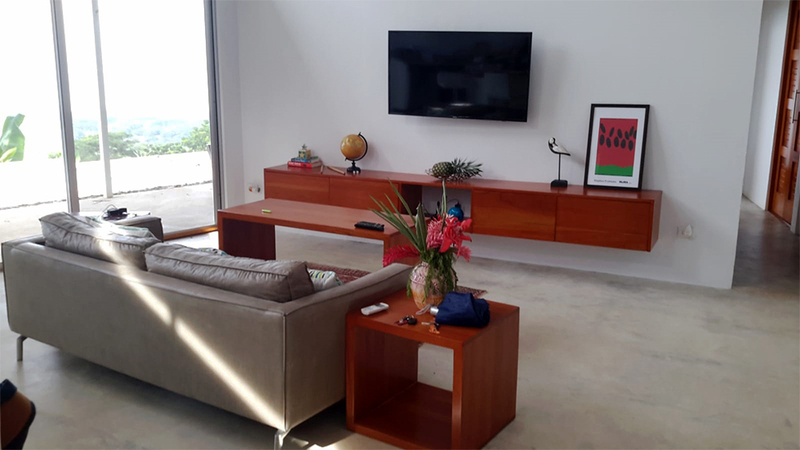 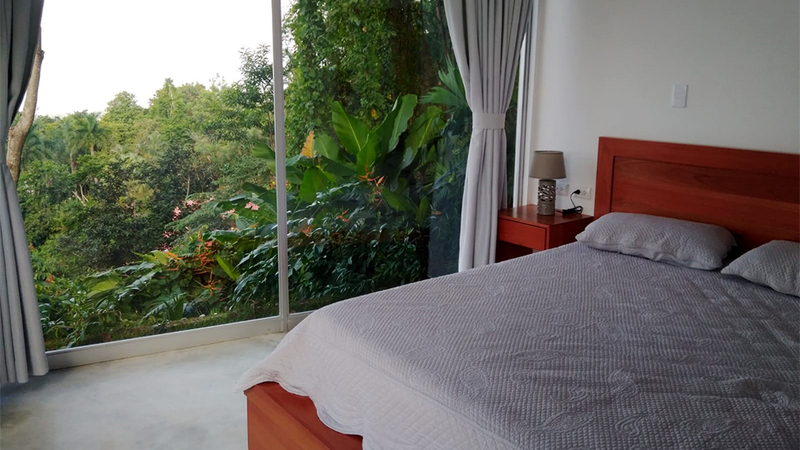 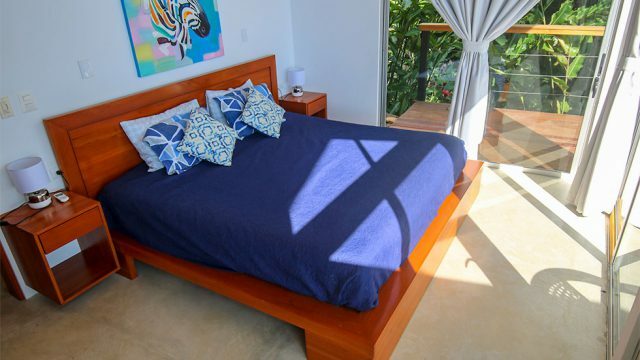 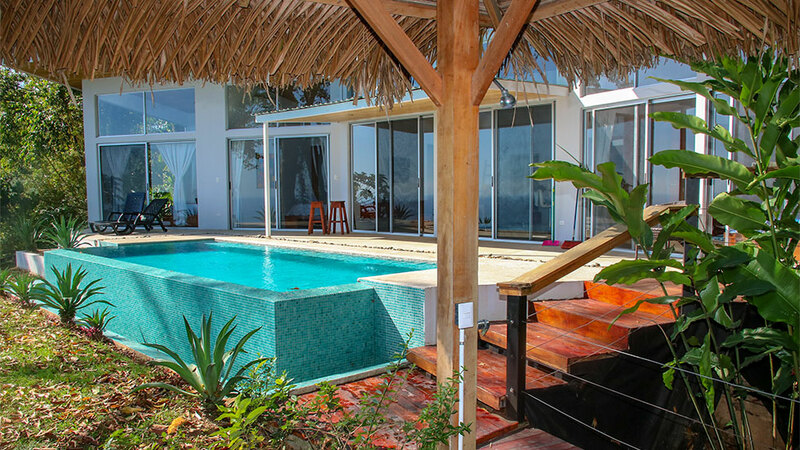 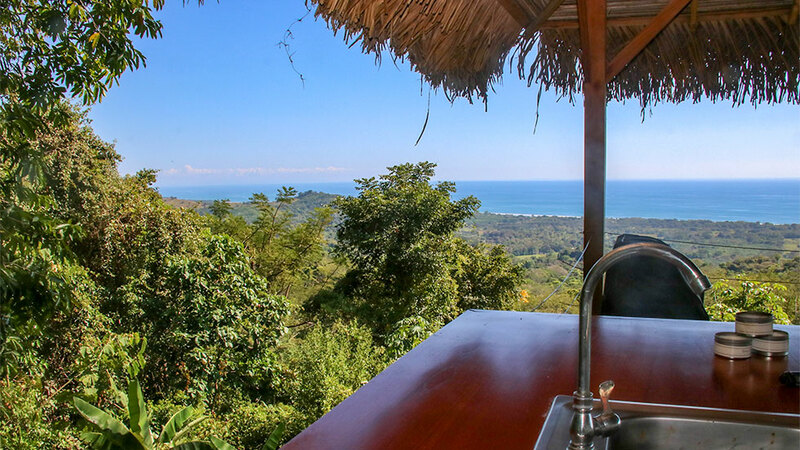 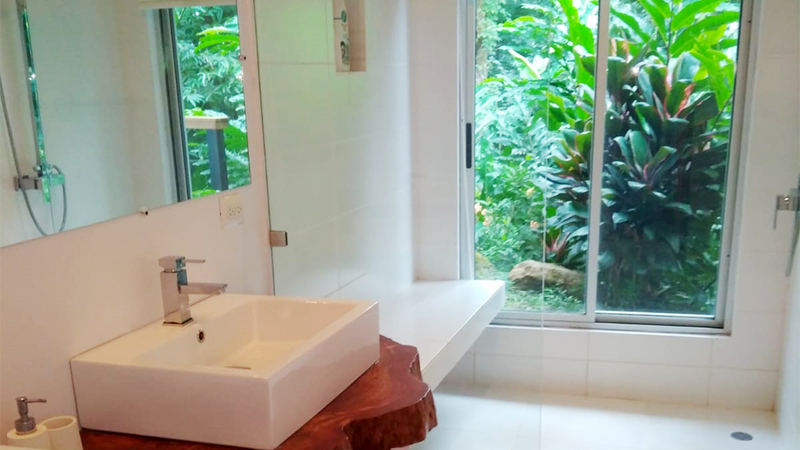 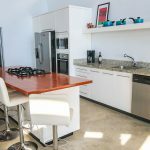 This beautiful 3 bedrooms / 2 bath home is perched directly above the pristine beaches of Playa Matapalo and located only 10 minutes from Dominical and 20 minutes from the Quepos & Manuel Antonio area. 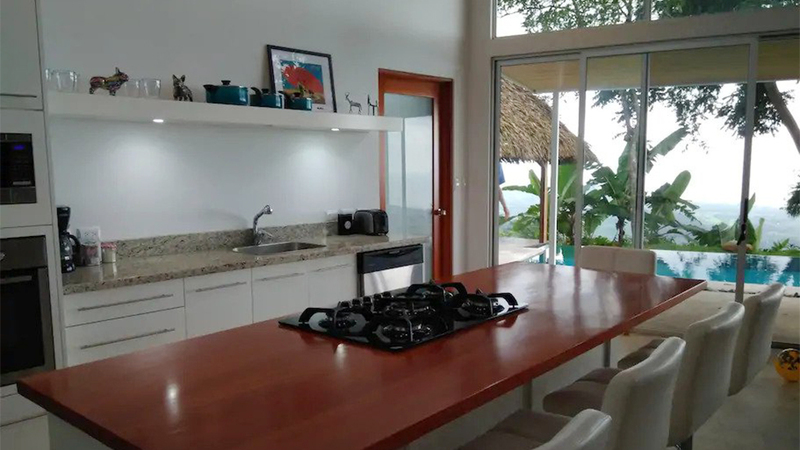 Here you will find Manuel Antonio National Park (currently Costa Rica’s #1 tourist destination), a regional airport, a hospital, a multitude of restaurants & resorts, plus the beautiful Marina Pez Vela for boating excursions. 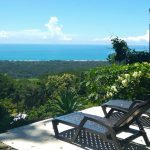 If you are looking for a high-quality ocean view home that has a strong history of producing a steady rental income, then keep reading! The home is conveniently located only a short 5-minute drive from the main Coastal highway. 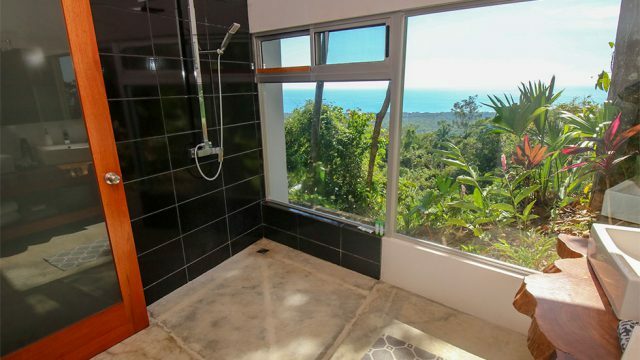 Access to the property is 4×4 only, however, the road is very well kept. 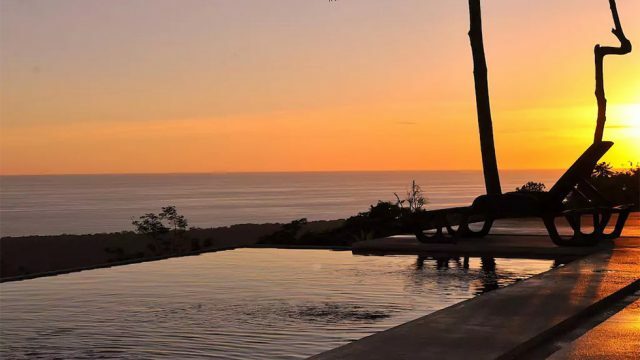 Once arriving at the 5.6-acre property, a private concrete driveway will take you back to an ocean view bluff where the home is privately situated. 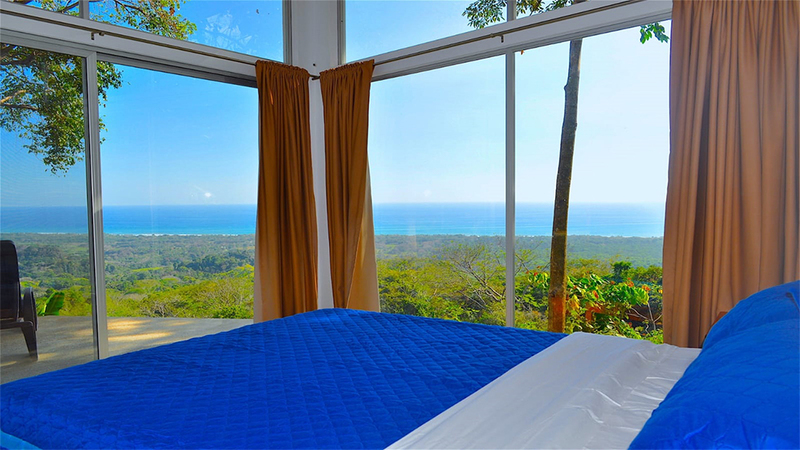 After arriving here, the sights and sounds of nature will envelop you. 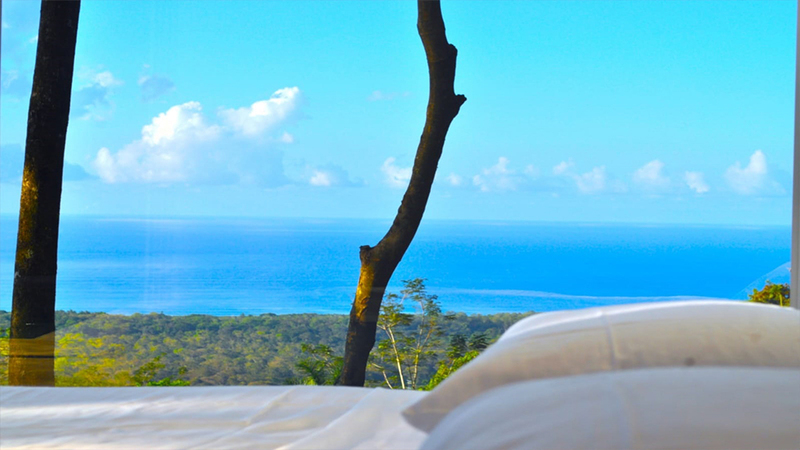 The land is filled with majestic old growth jungle populated with wildlife. 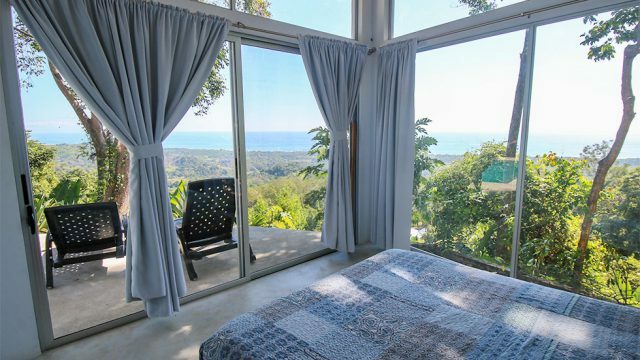 Imagine a place with soaring toucans, playful monkeys, smiling sloths, and the sound of crashing waves below. 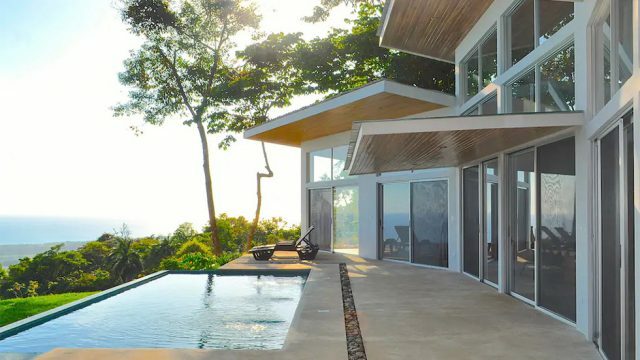 The placement of the home on the property could not be better. The ocean view is completely open down the southern coast and up north towards Manuel Antonio. 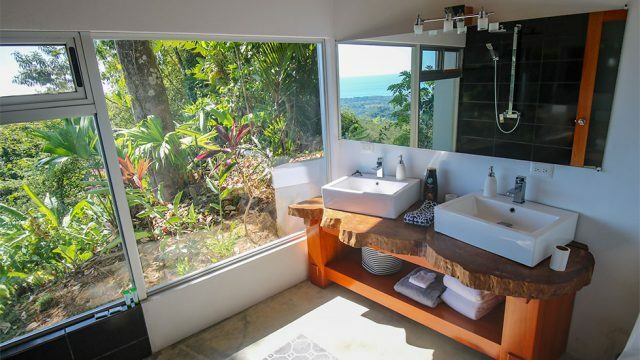 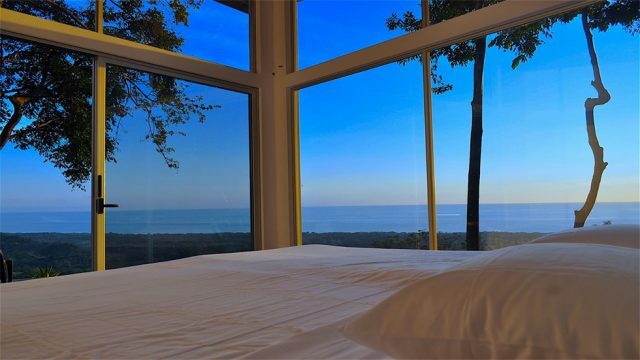 The ocean can be seen from each and every room of the house. 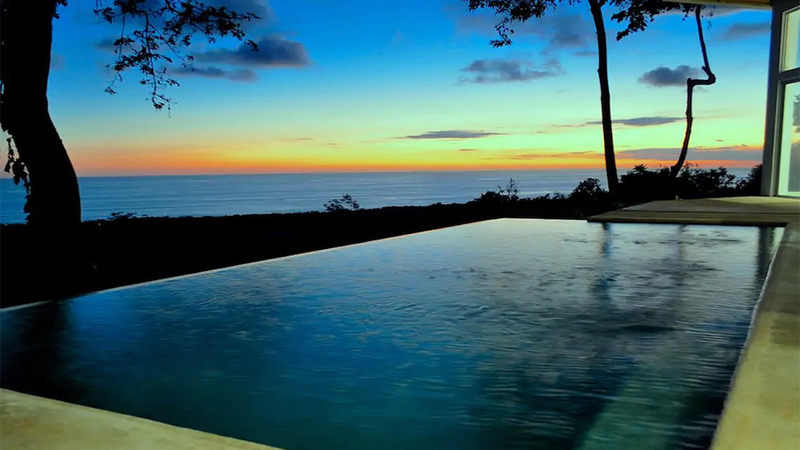 No matter the time of year, you will be able to enjoy watching sunset ocean views, whether you are lounging about inside or taking a dip in the infinity pool. 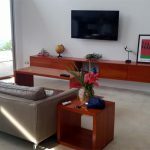 Another great advantage to the home’s location on the bluff is the refreshing breezes blowing off the Pacific Ocean, keeping the indoor living spaces nice and cool day or night. 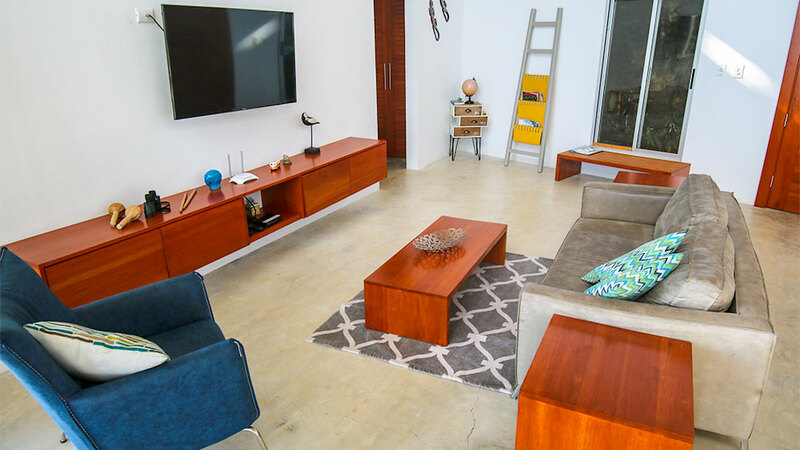 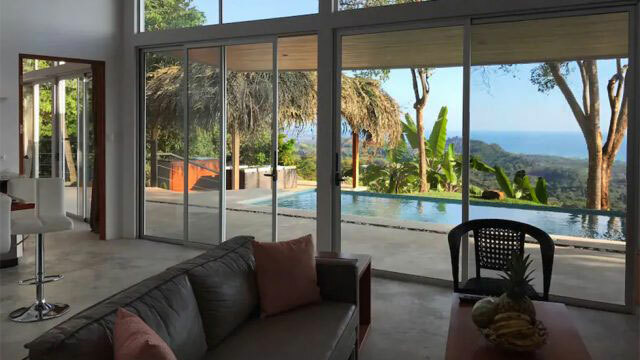 The home measures approximately 2,000 square feet of construction and features 3 bedrooms, 2 bathrooms, floor to ceiling windows, a fully equipped modern kitchen, and an open living space that flows outdoors to an infinity pool, sun lounge areas, and a covered rancho for outdoor grilling. The vaulted ceilings are made from beautiful local hardwoods and the height helps keep the home fresh and cool. 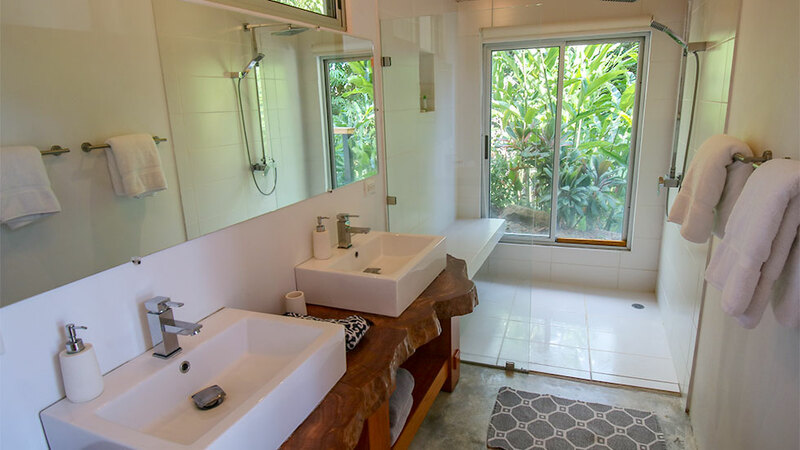 The home also comes with a utility laundry room, lush landscaping, and an excellent community water supply. 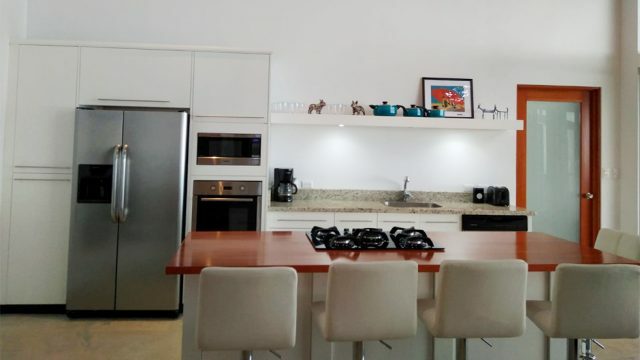 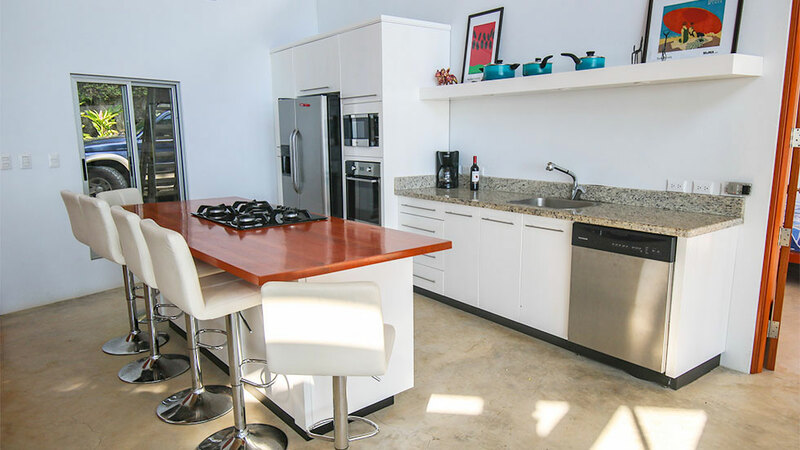 This beautiful home is selling completely turnkey ready with beautiful furnishings, quality appliances, and a very strong rental history with future reservations booked. This home has over fifty 5-star reviews on the most popular online booking websites. If you are interested in receiving more information about the rental numbers, contact us for a detailed income/expense report with future bookings and projections. 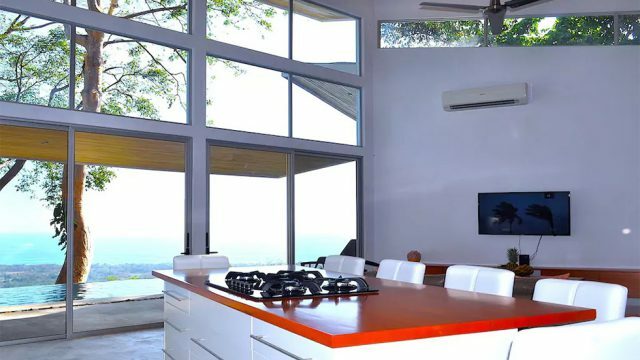 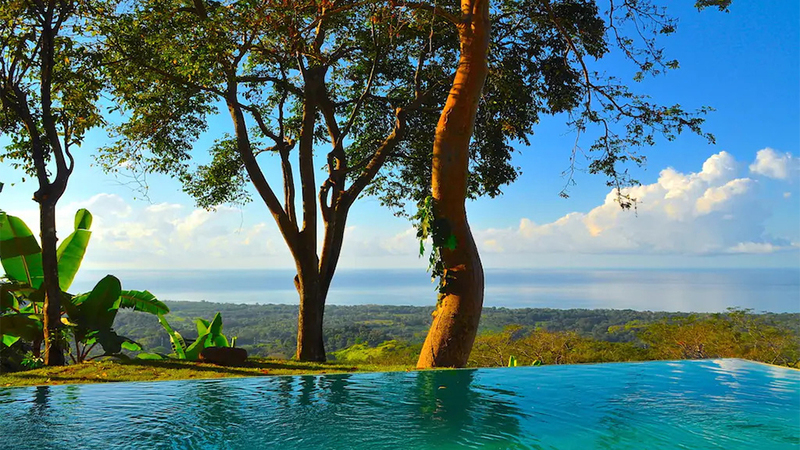 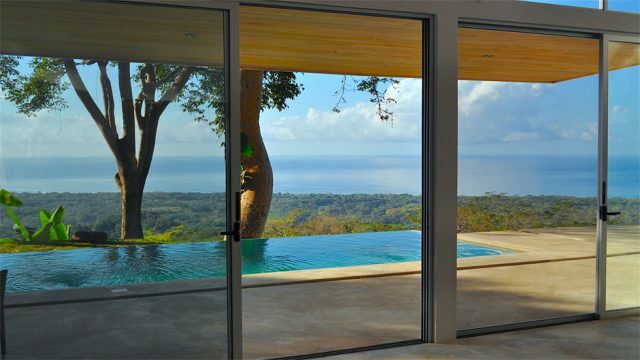 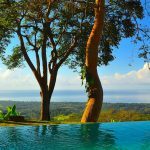 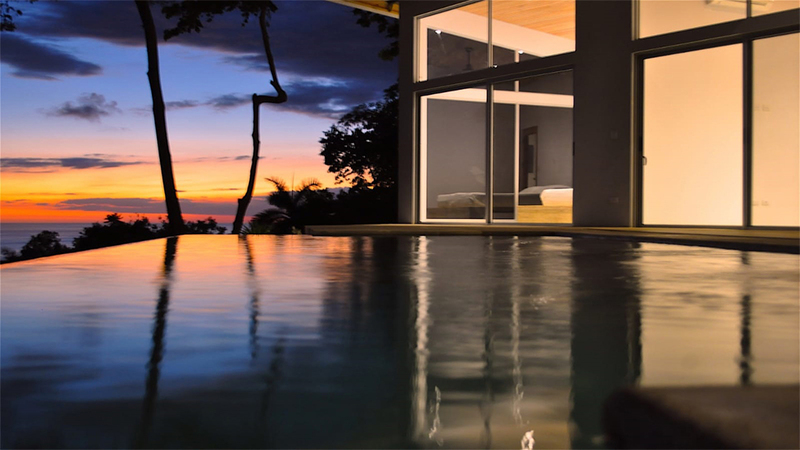 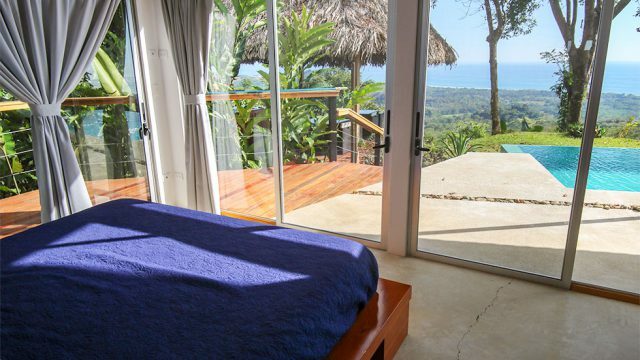 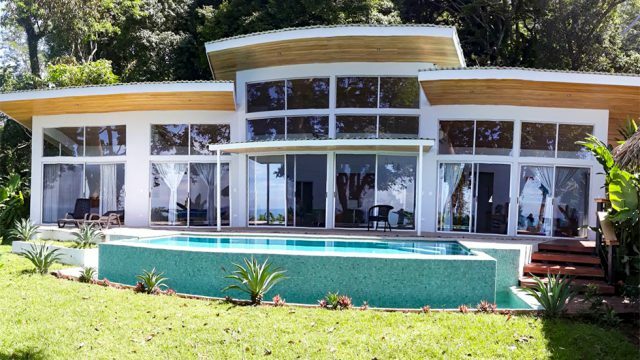 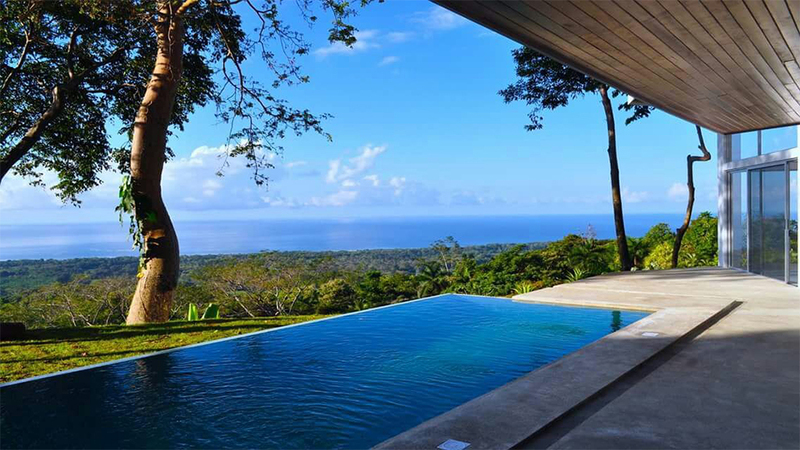 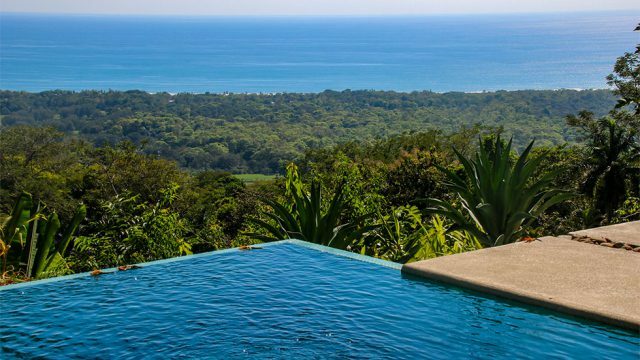 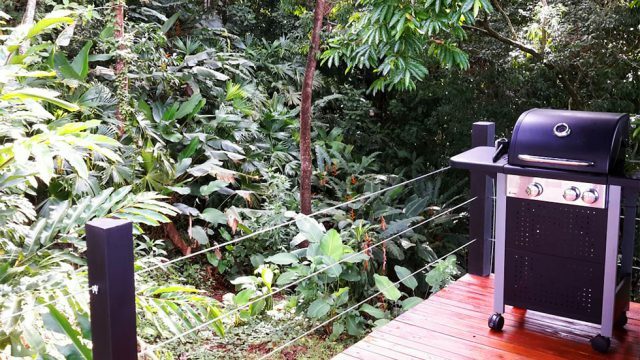 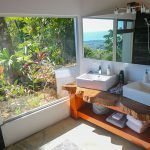 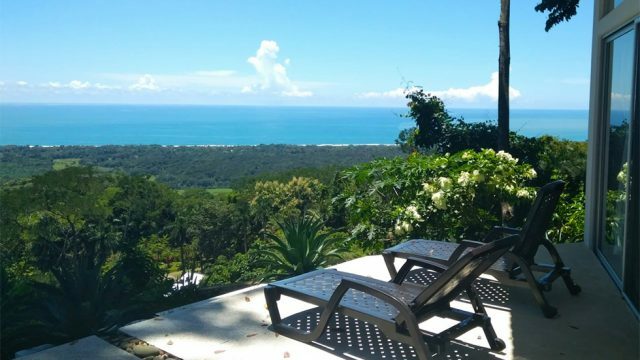 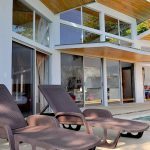 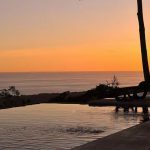 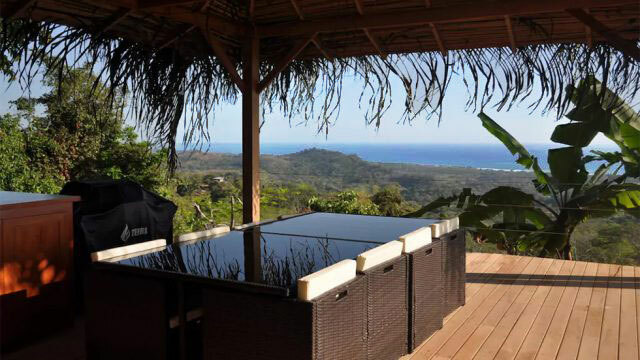 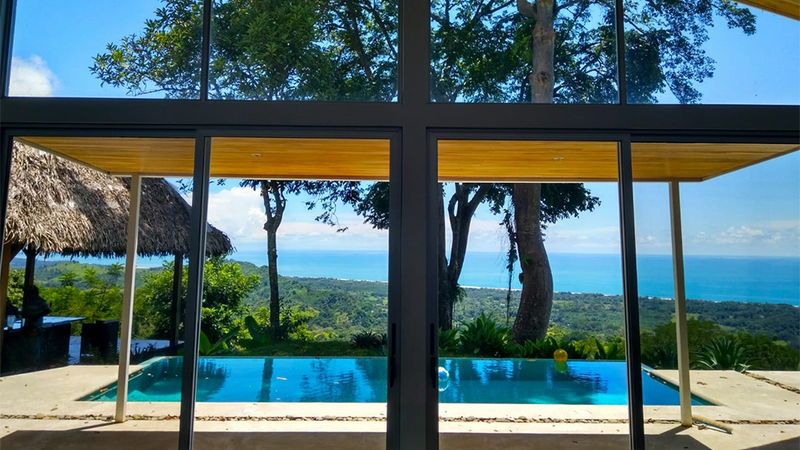 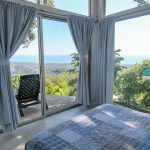 If you are a buyer looking for a true piece of Costa Rican paradise, place this property on your list of “must see” properties in the region.